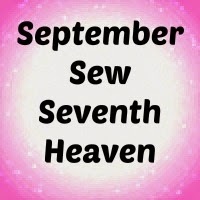 Sarah Liz's thought process behind her monthly themes she shares with us are always fun, and this September's Sewing Theme was no different. 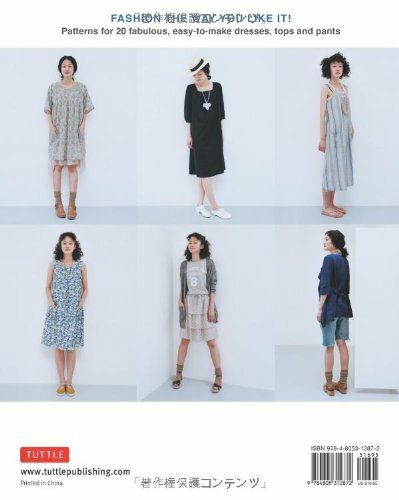 After some 'sideways thinking' she came to the point of simply encouraging us to sew for the new season upon us. This is an international group of sewists, so some are entering spring/summer and some are entering fall/winter. ...that has a beautiful raw selvage end I'm hoping to incorporate for the front finish. I think (hope!) I have enough to do this, as each raw selvage's end threads are a little different, so the front pieces will have to be cut separately using only one side. .....and now I cannot remember what my fabric's content is... *sigh* ...other than it is not linen... and it was only purchased yesterday, because after one's annual mammogram, which is oh-not-so-fun, one has to stop by the fabric store and enlarge one's stash. Hancock's Fabrics was the perfect place to go! Oh Lisa, your plan sounds so good! The fabric has lovely colours and texture and what a clever idea to use the selvedge! I like how the selvedge has a touch of red. It's going to be lovely and truly one of a kind. And I just read today that a wrap style coat or jacket has the advantage of wrapping more snugly or loosely for fit. I've been out of town and am so sorry for the delay in replying to your lovely garment sewing block explanation! I love this Erin! You so eloquently put into words all the things whirling around in my head that I experience too! Will definitely check out your instagram. Thank you so much for your kind encouraging words. Oooooo, looks like we think alike too, in all sorts of good ways!!! Thank you Judy! I also have garment sewing block at the moment. I have eleven pieces of fabric matched up with 8 different patterns and I'm scared stiff to put scissors to one in case I'm sorry I didn't use that other piece. Then, which one will I make first? Decisions, decisions! Opportunityknits expressed my problems perfectly. Your chosen pattern looks like a very nice usable jacket and I love the fabric. Kathy, you said it too! So many decisions at so many different levels.... thank you! It's nice to hear that 'misery loves company'?, in that all of us seem to suffer sewing block at times. Thank you Tracy! Yes, sewer's block is just part and parcel of sewing. I often have it (unbelievably) or the opposite - too many ideas!! I just find that the best thing to do is to do something. Well done for having your mammogram - they don't bother me, but then there is not much of me to pinch and press - I gather it is quite uncomfortable for a lot of ladies. Still, very necessary, and some people avoid necessary things. You should have got two lengths of material after your endurance ! P.S. I just re-read - you did stash up, so that's okay!! A just reward. Yes, a 'just reward'.... like the sounds of that! 'Too many ideas' is also a good point. Why is there such a fluctuation between 'too little' and 'too many'? Could it be because sewing is a creative process and there is not always a constant in creating? It's nice to know I'm not alone. Thank you Sarah Liz!